"If you are looking for a real Mexican cocktail, you just found it! This drink combines, in one glass, the best of Mexico: tequila and sangrita (Mexican's favorite tequila chaser). Don't look for cheap tequila; if you like the good stuff, don't be afraid to mix it." 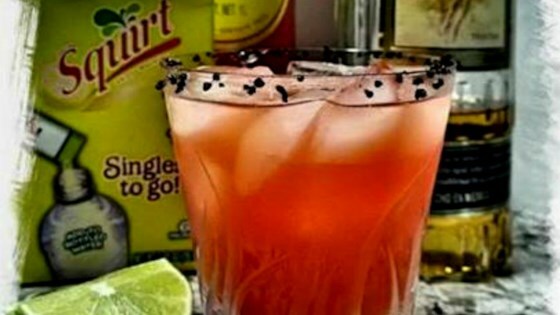 Fill a highball glass with ice cubes; pour in tequila, sangrita, citrus soda, lime juice, and fruit seasoning powder. Stir to mix well. Make your own delicious sangrita and enjoy a truly authentic cocktail. fantastic, old family tradition! sweat and tangy with just enough spice.